Which automakers and suppliers are leading the way in artificial intelligence? Artificial Intelligence is poised to become the pilot of tomorrow’s autonomous vehicles. 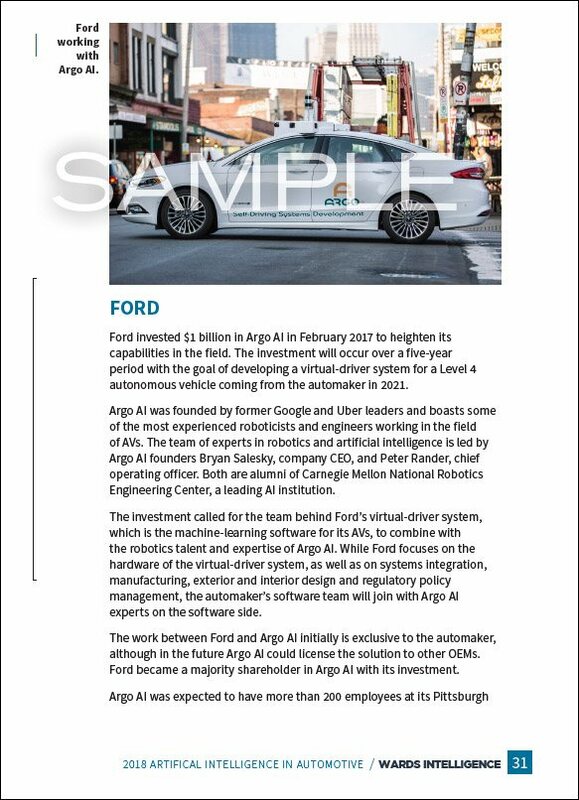 This special report from Wards Intelligence defines and examines AI technology, estimates where the industry stands in its deployment, potential applications beyond autonomy and the tremendous challenge traditional OEMs and suppliers face in ramping up their expertise in the field. 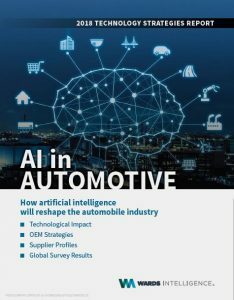 Order the AI in Automotive Report Now!